Loire Valley, Royal Valley : Classic or original, there are many ways to visit the Loire Valley. The architectural Renaissance masterpieces, the romantic periods of French history and the bucolic countryside make the Loire Valley an must-see destination. 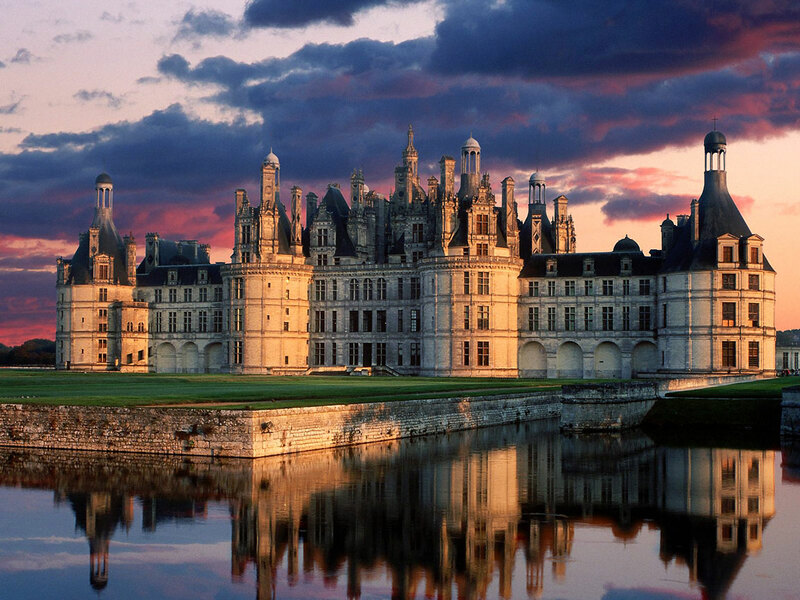 The most famous Castle in the Loire Valley are Azay-le-Rideau, Chambord and Chenonceau. Azay-le-Rideau – 27 km from Tours : Set on the Indre River in the middle of a park, the chateau is still attached to its small town. Les Imaginaires is a one-hour sound and light show that runs summer nights. 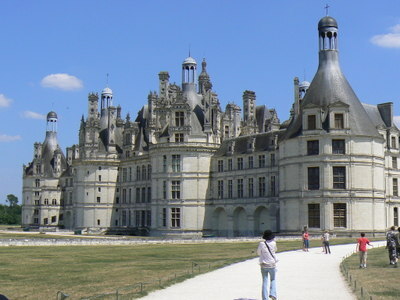 Chambord-20 km from Blois : Beyond the attraction of being a chateau of François I – think of an equestrian show in period costumes and a vast forest that is ideal for rural bike rides and nature hikes. Chenonceau : This chateau for women magnificently straddles the River Cher. Today it is owned by a private family and is the most visited (one million visitors per year). Ipods are used for the audio visit, available in many languages. Established 50 years ago, this 100 km circuit was the first of its kind. It includes fifteen lesser-known chateaux, between Bourges and Sully-sur-Loire. At the « chateau de Maupas » there is a collection of 900 faïence plates along with Aubusson tapestries. Jacques Coeur was born in Bourges in the 14th century and was the first financial magnate is economic history. He lived an extraordinary life and often overshadowed the king and even the pope with his adventuresome life. The six departments of the region of Centre-Val de Loire are named after the rivers that branch off from the Loire and in crossing them, one can understand the role of water. Inseparable from the Renaissance chateaux, the Loire River runs with a slight laziness. Wide and chaotic, sewn with sandy islands, the river is navigable only with flat-bottom boats. The boatman have brought back the old-style Toue and Futreau with oars, sails and even a small livable cabin. Also there is the canoe! Biking in the countryside : Another way to discover the Loire Valley is to slowly pedal along the green paths and tranquil country routes set on a flat landscape. The route of the child king : This theme includes about fifty sites and activities (zoo, aquarium, chateaux, etc) that would especially interest children. The brochure is available from the departmental and regional tourist offices. River tourism also offers superb places to discover such as the bridge canal of Briare, just above Sully. The troglodyte caves between Touraine and Anjou are built throughout the area even at the foot of the chateau of Saumur. Once residences during the middle ages, some are still used today, often as hotels with modern conveniences. A good example would be the village of Trôo with 41 troglodytes near Vendôme. The crater version, that is to say, carved from flat land can offer surprises such as at Rochemenier near Saumur and Angers. Don’t forget the local specialties (Touraine is also the home of French Renaissance writer François Rabelais!) and the renowned vineyards of Sancerre, Bourgueuil, Chinon. The Loire Valley offers many options of exploration in all directions.